Buffalo Wild Wings is an established and growing owner, operator, and franchisor of restaurants featuring a variety of boldly-flavored, cravable menu items including our Buffalo, New York-style chicken wings spun in any of our 21 signature sauces and seasonings. Our restaurants create a welcoming neighborhood atmosphere that includes an extensive multi-media system, a full bar and an open layout, which appeals to sports fans and families alike. We differentiate our restaurants by the social environment we create and the connection we make with our team members, guests and the local community. Our guests have the option of watching sporting events or other popular programs on our projection screens and approximately 50 additional televisions, competing in Buzztime® Trivia, or playing video games. The open layout of our restaurants offers dining and bar areas that provide distinct seating choices for sports fans and families. Buffalo Wild Wings unique service model, which provides the flexibility of ordering at the counter or table, allows our guests to customize their Buffalo Wild Wings® experience to meet their time demands, service preferences or the experience they are seeking of a workday lunch, a dine-in dinner, a take-out meal, an afternoon or evening enjoying a sporting event or a late-night craving. Buffalo Wild Wings® restaurants are the place people want to be; where any excuse to get together is a good one. Buffalo Wild Wings® restaurants have widespread appeal and have won dozens of “Best Wings” and “Best Sports Bar” awards across the country. Buffalo Wild Wings menu, competitively priced between the quick casual and casual dining segments, features traditional chicken wings, boneless wings, and other items including chicken tenders, Wild Flatbreads™, popcorn shrimp, specialty hamburgers and sandwiches, wraps, Buffalito®, soft tacos, appetizers and salads. Our made-to-order menu items are enhanced by the bold flavor profile of our 20 signature sauces and seasonings, ranging from Sweet BBQ™ to Blazin®. Our restaurants offer approximately 30 domestic and imported beers on tap, including several local or regional micro-brews and a wide selection of bottled beers, wines, and liquor. This award-winning food and memorable experience drives guest visits and loyalty. Buffalo Wild Wings have established their brand through coordinated marketing and operational execution that ensures brand recognition and quality and consistency throughout our concept. These efforts include marketing programs and irreverent advertising to support both our company-owned and franchised restaurants. We also prominently feature our trademark Buffalo insignias, yellow and black colors, stylized buffalo images, sports memorabilia, dozens of televisions and projection screens, and exterior trade dress at our restaurants and as branding for our company materials. Our concept is further strengthened by our emphasis on operational excellence supported by operating guidelines and employee training in both company-owned and franchised restaurants. 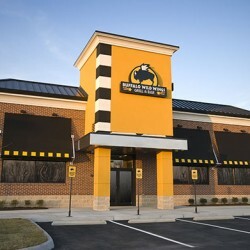 Buffalo Wild Wings was founded in 1982 at a location near The Ohio State University. Our original name was Buffalo Wild Wings & Weck and we became more popularly known as bw-3. 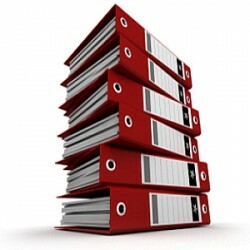 In 1991, we began our franchising program. In 2003, we completed an initial public offering and became a publicly-held company. Today, we are popular throughout the United States and widely recognized as Buffalo Wild Wings.